By their very nature; industrial sites carry numerous safety, fire and security risks, so having adequate protection is vital. 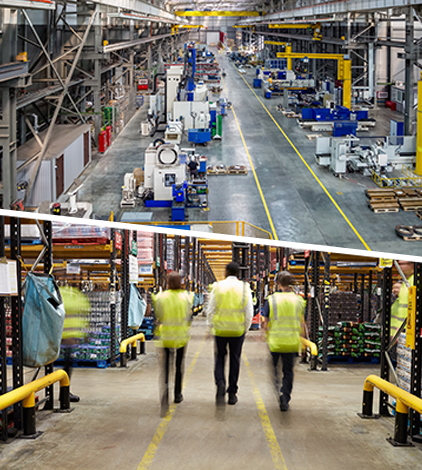 Most NASIC members have plenty of experience in delivering a wide range of solutions in a wide variety of industrial sites. From comprehensive fire and intruder alarm systems to complex CCTV systems designed to monitor the performance and safety of machinery and staff, your local NASIC member can deliver exactly what you need. The value of a production facility can add up to hundreds of thousands of pounds when you take in to account plant machinery, stocks and IT inventory. This doesn't include lost revenue from the inevitable downtime caused by a fire. Therefore a highly effective fire and security solutions are essential to protect assets from theft and fire. "At NASIC our members have a wealth of experience in dealing with the unique challenges faced by industrial applications."